Are Parental Involvement and School Performance Linked? There are many items that educators can look at to help predict the probable success rate of students. Among these items is the socioeconomic background of the family, whether or not parents have a postsecondary degree and what the parents do for a living. 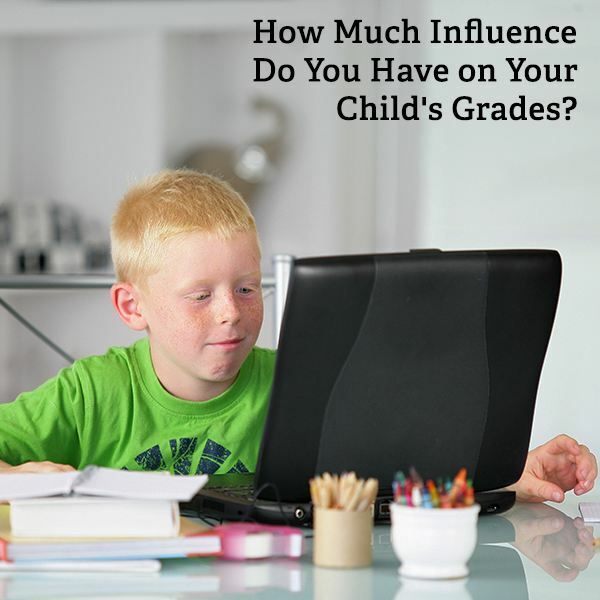 Over the years, however, research has shown that the most accurate way to predict whether or not a child will be successful in academics has a lot to do with the level at which parents are involved. Parental involvement and school performance are directly linked. When parents show that they value the learning process and show an interest in activities that go on at school, even children who are thought to have a disadvantaged start in life will do better in school. How Can Parents Become More Involved? Talk and Listen: Ask your child about how their school day went in general and what they learned. Talk at home, in the car, while sharing a meal and anywhere you are able to spend time together. Try to avoid the distractions of TV, computers and phones. Show your child that you are interested in what they are learning and talk about it. Provide a Calm Learning Environment: Teachers try to make the most of classroom time, but there really is only so much you can do in this time. Homework is a way to help extend the learning process outside of the classroom. At home, provide a quiet place conducive for study and also have a computer, books and other general research capabilities available. Help Your Child Set Goals: Even if your child is not an “A” student, help him or her to set realistic goals for themself. Show a genuine enthusiasm for the effort your child puts into achieving these goals, even if the grades do not always reflect it. Encourage Learning New Things: Read the newspaper together, talk about events in the news and challenge your child to learn about something he or she seems interested in. Encourage children to develop their own opinions on the topics they are learning about. Do Not Make This Mistake: Be careful not to fall into the trap of thinking that giving your child things is a good exchange for spending time with him or her. A child will be more successful in school and in life when the parent shows a genuine interest in the child and his or her activities at school. Additionally, when your child goes off to school, try not to fall into the mentality that says “that is what I send them to school for.” Parents who remain involved in and interested in the activities that take place at school will have students who are more successful. Volunteer in the classroom. Help the teacher grade papers or do the prep work for a class project. Tutor students who need extra help. Offer to read to the class or to individual students. Help chaperone class field trips. Provide real-life opportunities for your child to learn more about information that is being taught in the classroom. Limit and monitor what your child watches on TV. Teachers work hard to provide a quality education to their students, but parents remain the most important influence in the lives of their children, both at home and at school. Consider yourself to be a partner with your child's teachers. Positive parental involvement has a significant impact on successful school performance.